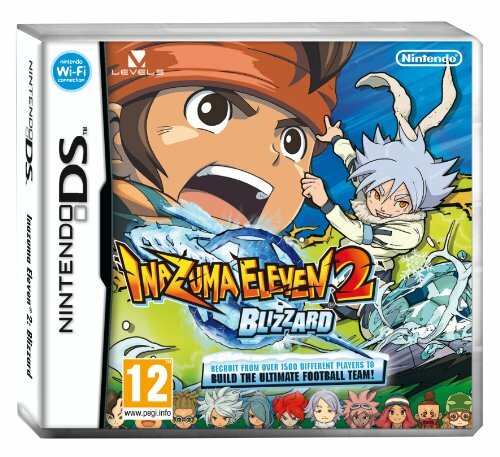 I don't know how many of you are aware, but Level-5's second soccer-themed--or football-themed, if you're not a North American--RPG, Inazuma Eleven 2, is set to hit the streets of Europe today. Because I've been interested in this series since the first game was unleashed upon the Japanese public back in 2008, I thought I should devote a "Which Box Art is Better?" post to this second release. The illustration below, on the other hand, will serve as the box art for Inazuma Eleven 2: Blizzard. As for me: I slightly prefer Firestorm's cover art to Blizzard's, although I have to say I find both illustrations to be a bit busy. That said, I plan on picking up one or the other sooner rather than later--after I've acquired the first Inazuma Eleven, of course. Sweet. I have always loved the two-release thing. This is nice. Both boxes. This reminds me that I just saw that there is going to be a Pokemon Black/White 2!! Oh, yeah, I've been following that news, too, Justin -- about Pokemon Black/White 2, I mean. Can't wait to read more about it. As long as it's a fairly new experience, I'll likely pick it up when it comes to NA. You, too? You know what's funny, Marco -- at least to me? My first reaction was to prefer Firestorm's cover (as is evident by reading the post), but now I think I like Blzzard's cover better. As such, I think I may get that one when I finally get around to buying this game. I don't suppose you're interested in buying this game, Marco? 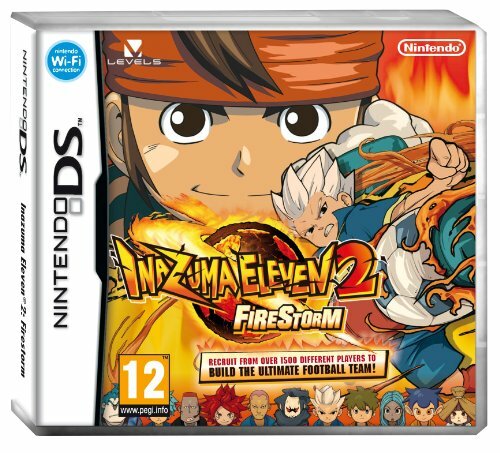 Did you buy the first Inazuma Eleven? Oh, for sure I'll pick it up. It sounds like a direct sequel and not a third entry, as they have been doing it. Yeah, I'm really hoping it's not a third entry, Justin. If it is, I likely won't pick it up. I liked Black/White, but not enough to pick up a third entry. Anyway, can't wait to hear more about this one! What the hell, is this actually out yet? Thought it wasn't out until much later? Looks like a really limited release, they didn't have copies in any shops on Friday. I'll have to order it online, thanks a million for the heads up. I had awful trouble trying to find the first game since it only got a continental release initially with the UK and Ireland release being held off for over a year. You're welcome, Retr0gamer! Yeah, I wouldn't be surprised if it was a limited release, just like the first one. Hopefully I'll be able to find a copy on line when I finally go to find one. Anyway, let me know what you think about it after you get and play it, will you? I might not get to play the game for a while, not touched the first one. Is there much difference between the two versions do you know? If you have trouble finding it online, let me know and I might be able to sort you out. Retr0gamer: According to what I've read about these games, aside from each game having a different title character there are minor differences between the two versions. The main difference, it seems, is that there are different recruitable players in each version. Also, each version has a slightly different story and each has an exclusive boss and secret player. Not sure how much all of that means to you. Really, I'm guessing you should go with whichever cover appeals to you most. Here's more info on both versions, though, if you're still curious. I'm going to go out on a limb and say I prefer the Blizzard cover! Why...? I'm not exactly sure, but I don't think I like the main character staring directly at you in the Firestorm cover, haha. That and I prefer the supporting character on Blizzard cover to the Firestorm one. So, has the first game not come to AU yet either, or just this second one? I know I said in the actual post that I prefer the Firestorm cover, but I've since come to realize that I prefer the Blizzard one -- and for the same reasons as you, basically. Still not sure when I'll pick this one up -- or the original, for that matter -- but I will eventually. Mark my words!